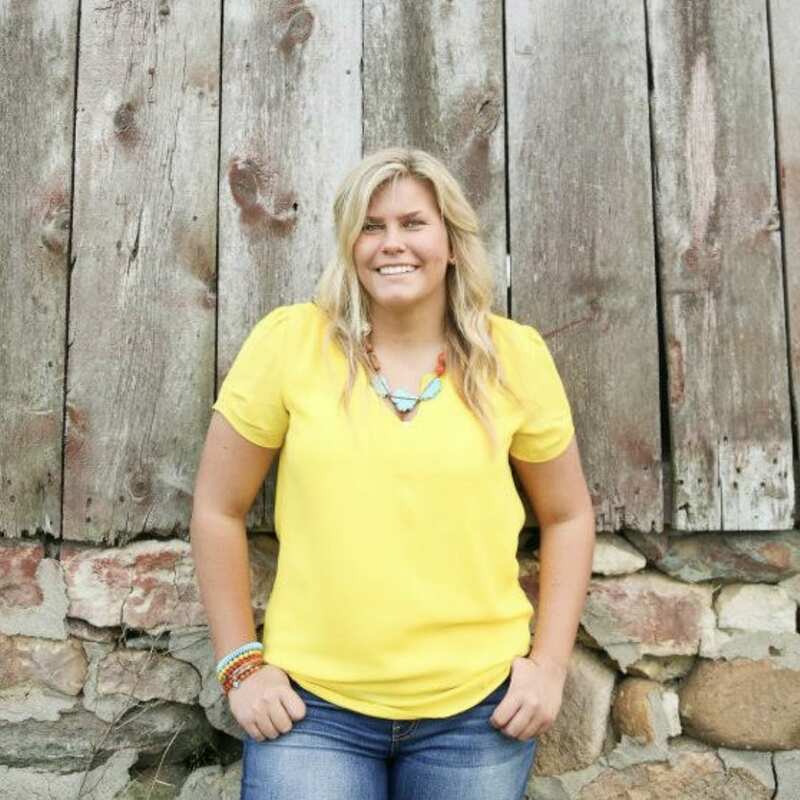 My name is Hailie Cassady and I am a senior studying agricultural communication, and I have been interning with Wren Farm Events in Mechanicsburg, Ohio as an event manager/coordinator since April. Wren Farm is an event venue located 35 minutes from Columbus and 45 minutes from Dayton. The venue primarily hosts weddings but can accommodate functions such as high school proms, homecomings, dinner parties, showers, etc. This wedding season (late April through early November) we had 26 weddings booked and at this point we have 21 of those completed. 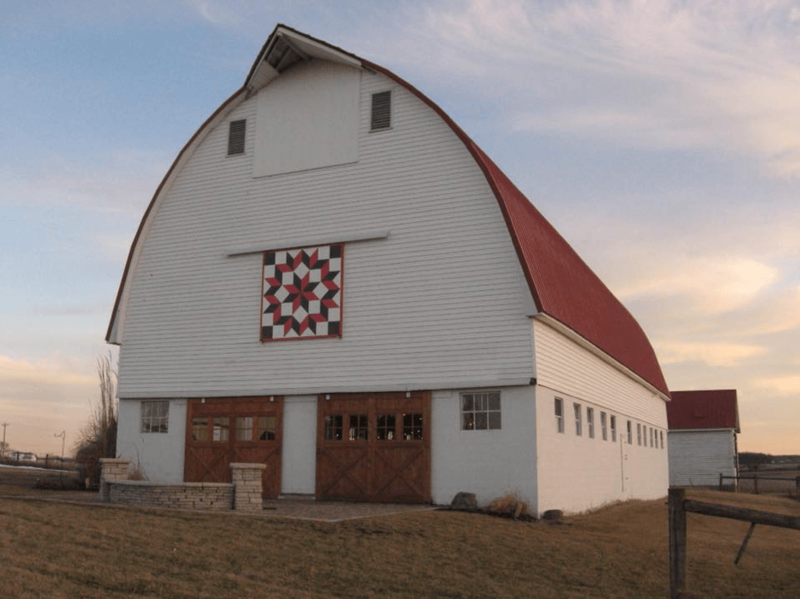 The facility is a two story, historic barn that was formerly used to house livestock such as dairy cattle, hogs and sheep. 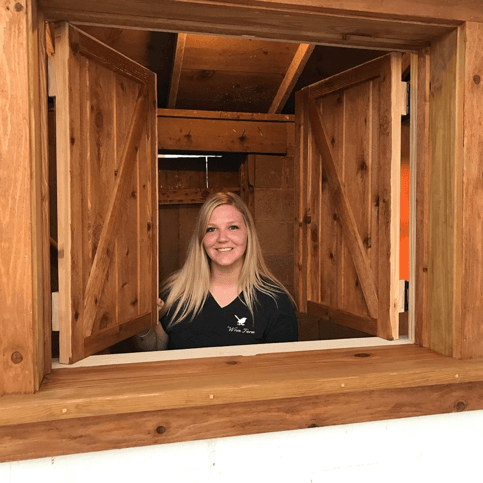 The hay mound was converted into the reception area and the downstairs features the original feed troughs which is where buffet style meals are set up. Being an event manager, I have been involved in multiple weddings and have worked with a lot of different people. I am involved in the touring and booking process, taking deposits and payments, preparing contracts, sending out vendor forms to upcoming brides to get their vendor information and how they want their space set up, setting up tables and chairs prior to couples arriving to decorate and then assisting with decorating inside and outside of the barn, setting up ceremony seating, helping with food, drinks and trash and any other last minute things that the couple may need. I have really enjoyed working with all of the different couples and seeing the barn set up in so many different ways. Wedding planning and coordinating is a lot more demanding than I expected when I first started but it is fun to be busy and on your feet, making the couple’s special day everything that they expected! I love that I get to be involved in the entire process and work alongside different people all the time. Every weekend is something completely different and I like that aspect of it. Throughout the last spring, I had the pleasure of helping put on the Ohio Farm to Cafeteria Pre-Conference and the National Farm to Cafeteria Conference. This opportunity came about after I saw an advertisement for the conference in a flyer. 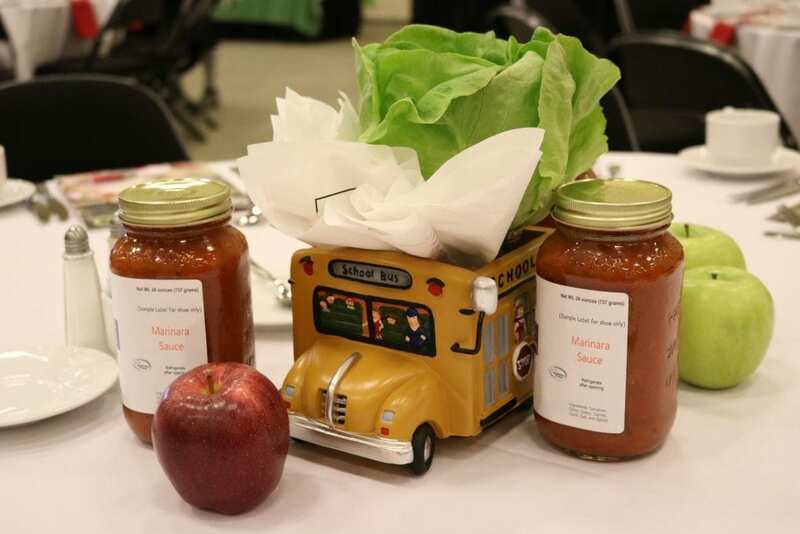 The national conference is put on by the National Farm to School Network, an information, advocacy and networking hub that serves communities by using local food, school gardens and food and agricultural education in schools and early care settings. With my major being agricultural communications and working towards minors in youth development and Spanish, farm to school combined both of my interests. I found out that they were not only interested in having a volunteer, but would be willing to help me count the experience towards an Ohio State internship credit. This was in January and over the next four months, I worked as a Farm to School Communications Intern out of Campbell Hall to help promote the conference to people across Ohio. 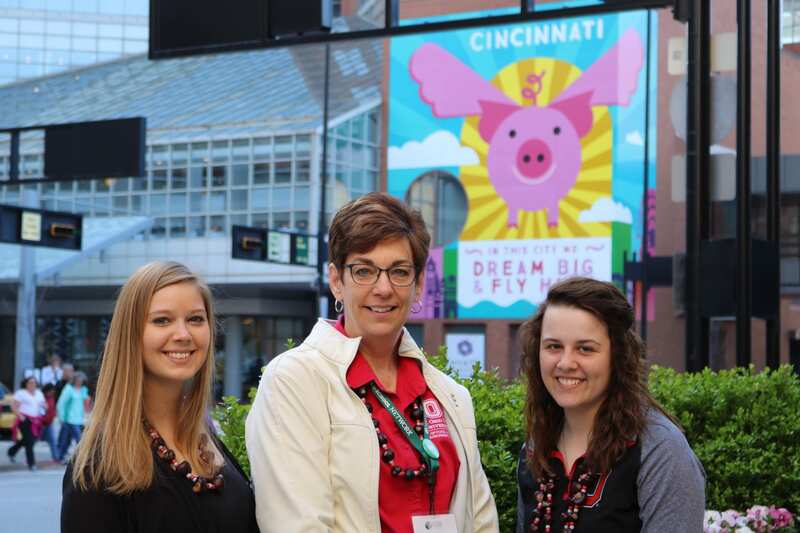 The National Farm to Cafeteria Conference was planned for Cincinnati in May. Carol Smathers, OSU Extension specialist and the Ohio Farm to School Program Coordinator and Amy Fovargue, OSU Extension, were responsible for an Ohio-focused pre-conference. Most of my work involved promoting the pre-conference, which included an Ohio producer showcase with tables from companies like DNO Produce, Peaceful Fruits and Cincy Beef. There was also a panel of speakers from the local food industry and round tables for guests to discuss issues and topics surrounding local food. While promoting the pre-conference, I learned a lot about event planning and especially the importance of staying organized. I used various tactics to help promote the conference as well as excel sheets to keep track of all email lists and publications that highlighted the event. I promoted the pre-conference through mass emails, press releases and Facebook. I found Facebook to be especially helpful. I had not previously experienced using Facebook to set up an event page and learned some of the benefits and challenges of this media platform. I also worked with Ohio State’s Office of Trademark and Licensing Services to ensure that our branding was compliant with the University’s brand on the Farm to School website, flyers and post cards. I helped update the Farm to School website, created a monthly flyer that contained information about the upcoming conference. For these flyers, I used the approved OSU templates. I also developed postcards to hand out to promote the pre-conference. Working on the website, flyers and postcards provided a valuable learning experience. I also had to build in time to receive feedback and edits for the branding to be approved. This taught me to build in extra time when working with others. Throughout this internship, I learned more than I could have imagined about event planning. This experience was especially unique because of the event being a pre-conference with a national conference happening the following day. I feel that the work I did helped prepare me for a job that includes event planning and creating promotional materials such as postcards, flyers, press releases and a website. Table decorations for the conference that Plahuta made. Plahuta (left) with Amy Fovargue (middle), and Michaela Graham (right), another intern who helped with the conference. 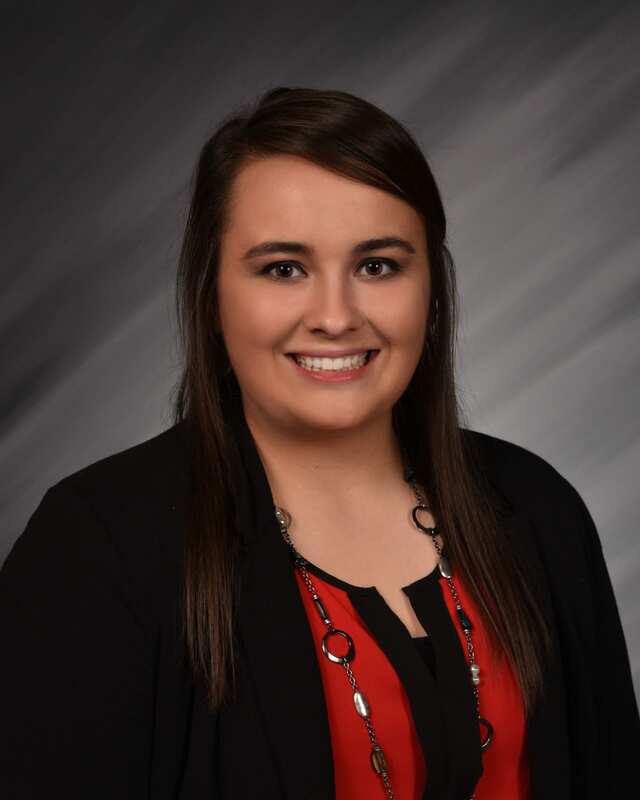 Haley Wilson, of New Lexington, completed an internship this past summer with the Ohio Farm Bureau Federation in Columbus, Ohio. 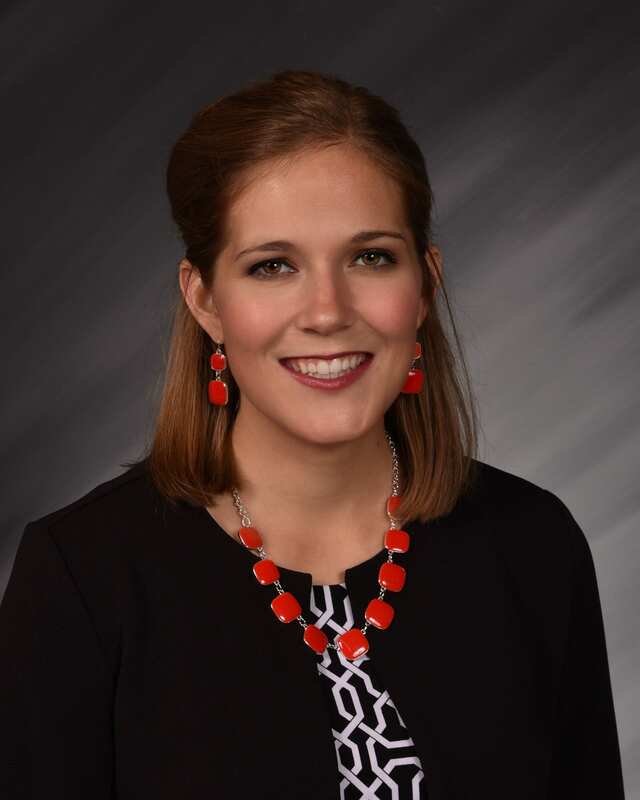 During her internship, Wilson served as a lead intern, coordinating Ohio Farm Bureau’s Land and Living Exhibit at the Ohio State Fair. This football-field sized interactive display was for visitors of the Fair to learn about the industries of agriculture and natural resources. She also hired, trained and managed a team of 25-30 young people that served as ambassadors throughout the fair and managed social media for the exhibit. To learn about large-scale exhibits, as part of her internship Wilson traveled to St. Louis, Missouri, Indianaipolis, Indiana and Walt Disney World in Orlando, Florida to veiw and interact with a variety of agricultural exhibits with the goal of gaining ideas for Ohio Farm Bureau’s exhibit at the Ohio State Fair. Wilson is completing a bachelor of science degree in agriscience education at The Ohio State University in Columbus, Ohio. She plans to graduate in May 2020. The agriscience education major at Ohio State prepares students to teach agricultural science in secondary high schools. Our program provides students with a rigorous series of courses in technical agriculture, education psychology, instructional methods and youth development. To learn more about the agriscience education major, visit acel.osu.edu or call 614-247-6358. 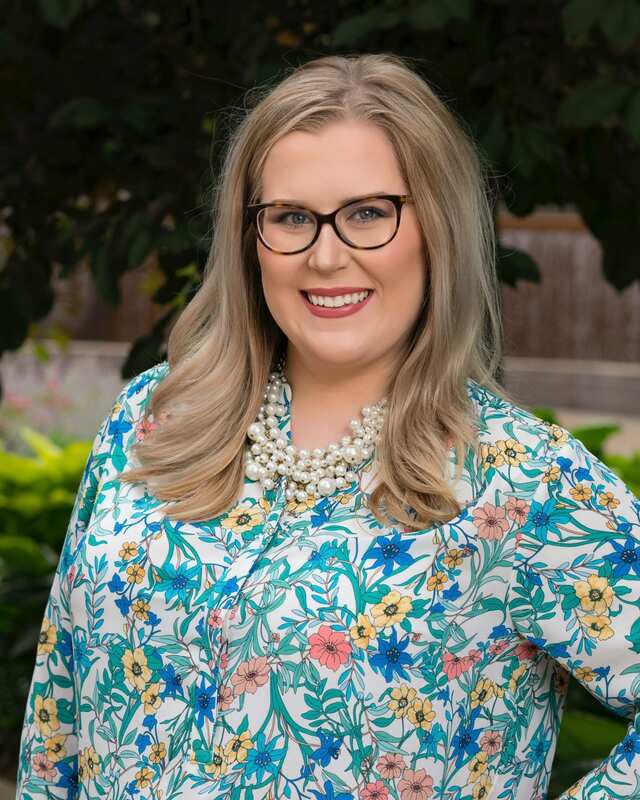 Abby Motter, of Ashland, recently completed an internship with the Ohio State Fair as a public relations and marketing intern in Columbus, Ohio. During her internship, Motter wrote news releases, contributed to social media content and worked to set up live broadcasts. During the Ohio State Fair, Motter served as the key contact to radio and television stations regarding their promotions and remote broadcasts at the fairgrounds. She participated in crisis Communication training and worked behind the scenes to ensure a successful 2018 Ohio State Fair. 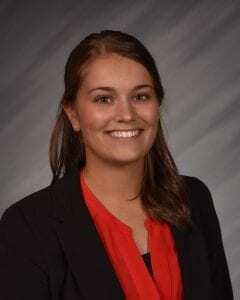 Motter returned to Columbus in August where she is completing a bachelor of science degree in agriscience education. She plans to graduate in May 2019. During the summer of 2018 I had the pleasure to intern for The Kentucky Exposition Center, where I worked in the horse show office. While I was only an intern, the knowledge and experience I received while working in Louisville were immeasurable. The horse show office was responsible for putting on an array of horse shows through out the year, those shows being: the Quarter Horse show, the state 4-H show, The NAILE Draft horse show, and finally The World Championship Horse Show. While all of these shows were important, the primary focus was on The World Championship Horse Show while I was interning. In preparation for the biggest saddlebred show in the world, our office covered many tasks. Keying entries, talking on the phone to exhibitors/trainers/owners, making the program book, mailing entries out, and creating a show bill; these tasks and many others were done to ensure the show would go smoothly. I myself had the pleasure of being the voice of the fairgrounds for the Quarter Horse Show. I was stationed at the eagle’s nest where I announced what class was being judged, which exhibitors needed to check in for their class, and finally the class order. Through this task I gained confidence in public speaking, as my voice carried through out the entire fairgrounds. Interning for the Expo Center was a an extremely rewarding experience. The lessons I learned and connections I made will stay with me forever. Kayla Walls, of Mendon, recently completed an internship with Monsanto as a production research assistant in Farmer City, Illinois. During her internship with Monsanto, Walls provided research support for Monsanto Production Research by collecting data on DEKALB corn trial plots. Some of this data included stand counts, tassel visibility and ratings, stalk height and ratings, and silk visibility and ratings. As an intern, she also provided a plethora of support through detasseling, spraying pesticides, and helping with pollination trials. Walls returned to Columbus in August where she is completing a bachelor of science degree in agriscience education. She plans to graduate in May 2019. Micah Mensing, of Oak Harbor, recently completed an internship with Farm Credit Mid-America in Wooster. As a crop insurance intern with Farm Credit Mid-America, Mensing researched the tools available and being developed related to precision farming data and crop insurance. 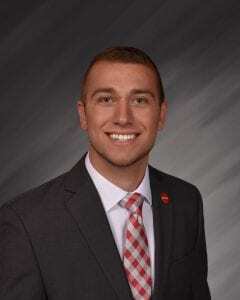 In addition to his research project, he shadowed many different roles within the organization and developed an understanding of how Farm Credit Mid-America plays a role in securing the future of rural communities and agriculture. Mensing returned to Columbus in August where he is completing a bachelor of science degree in agriscience education. He plans to graduate in May 2019. Alexis Howell, of Paulding, recently completed an internship with Fulton County Extension. During her internship, Howell worked with the three county educators and a variety of education programs, including On Farm Research, where she assisted with trial layout, data collection and processing and reporting, trained camp counselors and the completed the delivery of 4-H camps and coordinated the 4-H project judgings. Howell returned to Columbus in August and is studying agriscience education at The Ohio State University. She plans to graduate in May 2019. Hello! My name is Linnea Stephens, and I am a current third year student at The Ohio State University majoring in Agricultural Communication with a minor in International Economic Development. 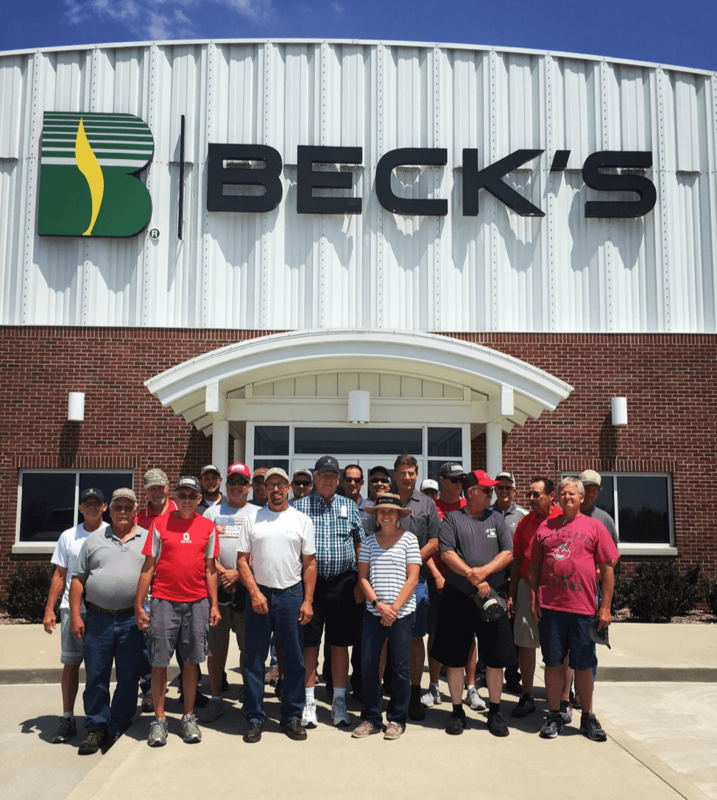 This past summer of 2018 I worked with Beck’s Hybrids as the Ohio Sales Intern. The territory that I worked within was Northern, Ohio and some parts of Lower, Michigan. Prior to this summer internship with Beck’s Hybrids, my only experience within the seed industry was with my internship with Nutrien Ag as their undergraduate research intern the summer before. After talking to one of the District Sales Manager I was assigned to work with this summer, we decided the sooner I could start my internship the better it would be for the sales team in Ohio. Therefore, I traveled to Atlanta, Indiana for early safety training and onboarding, and started two weeks early as an intern. Tasks and projects that I completed this summer ranged daily. From planting field plots, scouting, cold calling on potential customers, maintaining expense reports, transferring seed, and leading customers in private Practical Farm Research Tours, it made my summer go extremely fast. 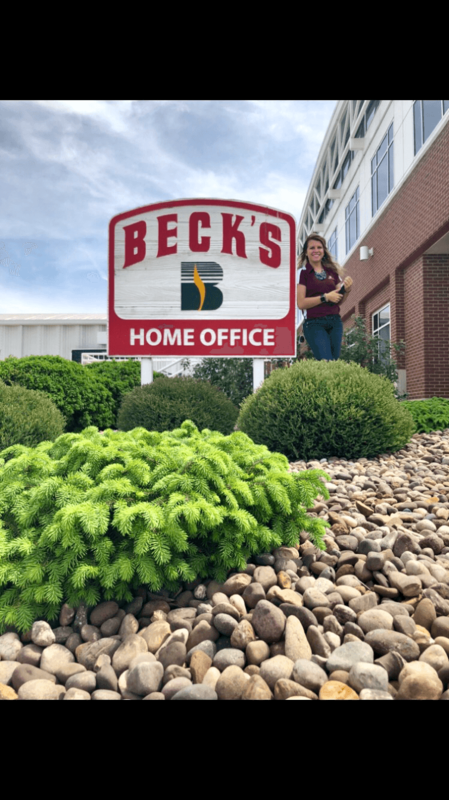 Every day I woke up not knowing exactly what I would be doing each day, and that is what I loved that about my internship this summer with Beck’s. Traveling to Beck’s Hybrids headquarters in Atlanta, Indiana for formal training allowed me to meet college students across the Mid-West. Representing The Ohio State University among other college students gave me a opportunity to share how classes here on campus have prepared me to become a young professional in the Ag based industry. 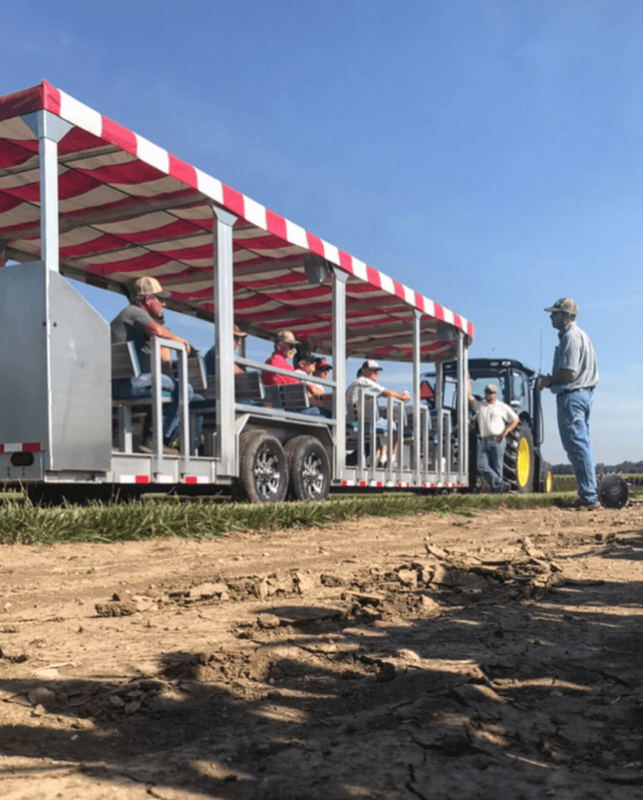 Leading and organizing private Practical Farm Research tours this summer at the London, Ohio location was one of most rewarding experiences I had this summer. With a total of 3 tours, 54 attendees, and over 27,000 acres accounted for the tours were deemed a success by the Ohio sales team. Being chosen as one of 23 interns this summer for a seed company is truly a humbling experience. Therefore, this summer I was not only a representative of Beck’s Hybrids, but a Buckeye as well. Many individuals think that sales internships are only about how much you can sell within a three-month period, and I can now say that sigma is not true. Traveling the state of Ohio and connecting to farmers via cold calls and sales events is the most best professional growth experiences I have ever had, and you cannot put a price tag on that. Emily Beal, of Conover, recently completed an internship with Kentucky Expo Center in Louisville, Kentucky. 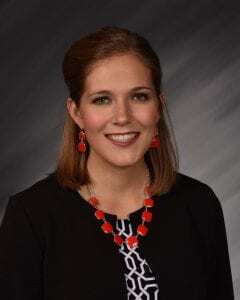 During her internship, Beal was responsible for coordinating horse shows that occurred at the Kentucky Exposition Center, including the World’s Championship Horseshow. She completed tasks ranging from data input to creating a show bill, as well as serving an announcer for the Quarter Horse Show at the Kentucky State Fair. Beal returned to Columbus in August, where she is completing a degree in agricultural communication at The Ohio State University. The agricultural communication major at Ohio State prepares students to plan, develop, and implement a communication campaign, using visual media, writing and editing. Students study crisis communication, graphic design, marketing, and journalism so they can spread the word about agriculture. To learn more about the agricultural communication major, visit acel.osu.edu or call 614-247-6358.